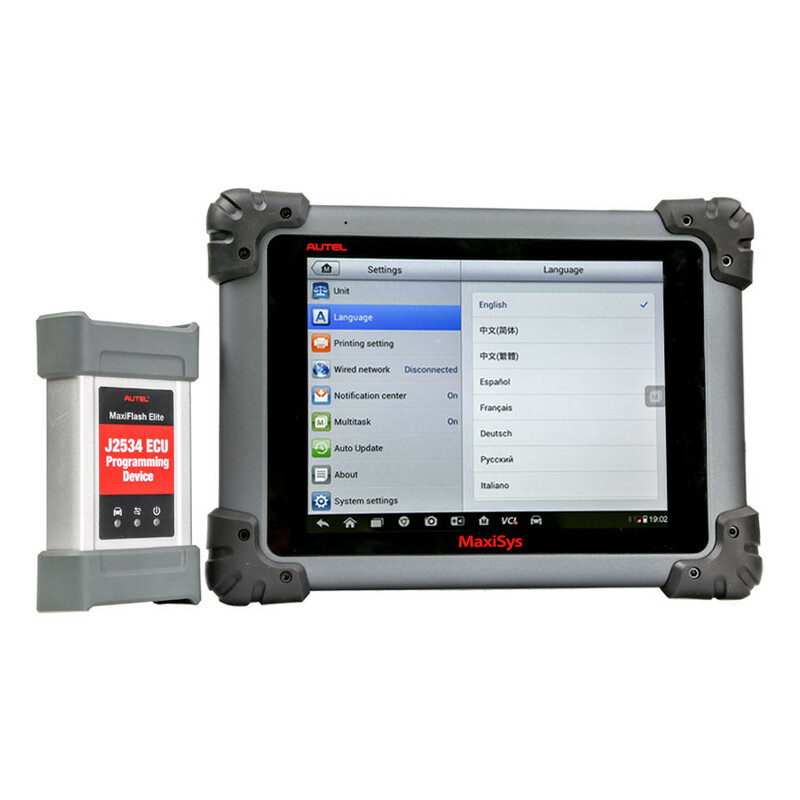 The Autel MS908P MaxiSYS® 908 Pro includes the MaxiFlash Elite reprogramming box and special MaxiSYS® Pro software are needed for shops and technicians who demand a comprehensive diagnostic system capable of completing even the most complicated and demanding tasks. 7. 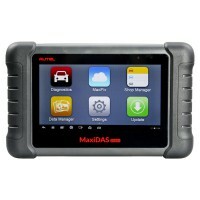 Autel Maxisye Pro can do online programming, at the same time it's compatiable for diagnosis and online programming for part of the original software. 2. The package do not contains BENZ 14PIN adpter, if you need it, contact our customer service after place order. 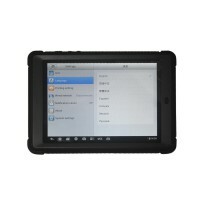 When this function is selected, the screen displays a list of Stored Codes and Pending Codes. When the Freeze Frame data of certain DTCs are available for viewing, a snowflake button will display on the right side of the DTC item.The Erase Codes function can be applied by tapping the functional button at the lower bottom of the screen. Stored codes are the current emission related DTCs from the ECM of the vehicle. OBDII/EOBD Codes have a priority according to their emission severity, with higher priority codes overwriting lower priority codes. The priority of the code determines the illumination of the MIL and the codeserase procedure. Manufacturers rank codesdifferently, so expect to seedifferences between makes. These are codes whose setting conditions were met during the last drive cycle, but need to be met on two or more consecutive drive cycles before the DTC actually sets. The intended use of this service is to assist the service technician after a vehicle repair and after clearing diagnostic information, by reporting test results after a single driving cycle. a. If a test failed during the driving cycle, the DTC associated with that test is reported.If the pending fault does not occur again within 40 to 80 warm-up cycles, the fault is automatically cleared from memory. b. Test results reported by this service do not necessarily indicate afaulty component or system. If test results indicate another failure after additional driving, then a DTC is set to indicate a faulty component or system, and the MIL is illuminated. In most cases the stored frame is the last DTC thatoccurred.Certain DTCs, those that have a greater impact on vehicle emission, have a higher priority. In these cases, the highest priority DTC is the one for which the freeze frame records are retained. Freeze frame data includes a “snapshot”of critical parameter values at the time the DTC is set. This option is used to clear all emission related diagnostic data such as,DTCs,freeze frame data and manufacturer specific enhanced data from the vehicle’s ECM, and resets the I/M Readiness Monitor Status for allvehicle monitors to Not Ready or Not Complete status. A confirmation screen displays when the clear codes option is selected toprevent accidental loss of data. Select Yes on the confirmation screen to continue, or No to exit. This function displays the real time PID data from ECU. Displayed data includes analog inputs and outputs, digital inputs and outputs, and systemstatus information broadcast on the vehicle data stream. This service enables bi-directional control of the ECM so that the diagnostictool is able to transmit control commands to operate the vehicle systems. Thisfunction is useful in determining how well the ECM responds to a command. 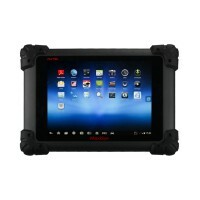 This item is used to check the current condition of the vehicle, including communication protocols of OBD II modules, retrieved codes amount, status of the Malfunction Indicator Light (MIL), and other additional information may be displayed. The Service section is specially designed to provide you quick access to the vehicle systems for various scheduled service and maintenance performances. The typical service operation screen is a series of menu driven executive commands.By following the on-screen instructions to select appropriate execution options, enter correct valuesor data, and perform necessary actions, the system will guide you through the complete performance for various service operations. This function allows you to quickly look up the tire sensor IDs from the vehicle's ECU,as well as to perform TPMS programming and reset proceduresafter tire sensors are replaced. This function has a multitude of usages to maintain the electronic braking system safely and effectively.The applications include deactivating and activating the brake control system, assisting with brake fluid control, opening and closing brake pads, ands etting brakes after disc or pad replacement, etc. 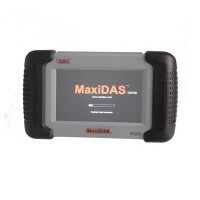 This function allows you to perform various bi-directional tests to check the operating conditions of both the Anti-lock Braking System and the Supplemental Restraint System, such as Automated Bleeding,Pump Motor Test,and checking Module information, etc. The Diesel Particulate Filter service function performs the regeneration procedure which is the DPF cleaning operation to clear the blockage through continuous burning of the particulate matter captured in the DPF filter.If the DPF light on the vehicle comes on and you successfully complete a DPF regeneration cycle, you will notice that the DPF light will automatically turn off.